General Seminary welcomes Jee Hei Park as the Affiliate Professor in New Testament for the 2017-2018 academic year. Jee Hei Park is currently a Doctor of Philosophy candidate in the Christianity in Antiquity program at Fordham University. She earned her Bachelor of Arts in Theology and Philosophy from Yonsei University in Seoul, and her Master in Divinity from Harvard Divinity School. She was a Forum for Theological Exploration (FTE) Doctoral Fellow for 2016-2017. 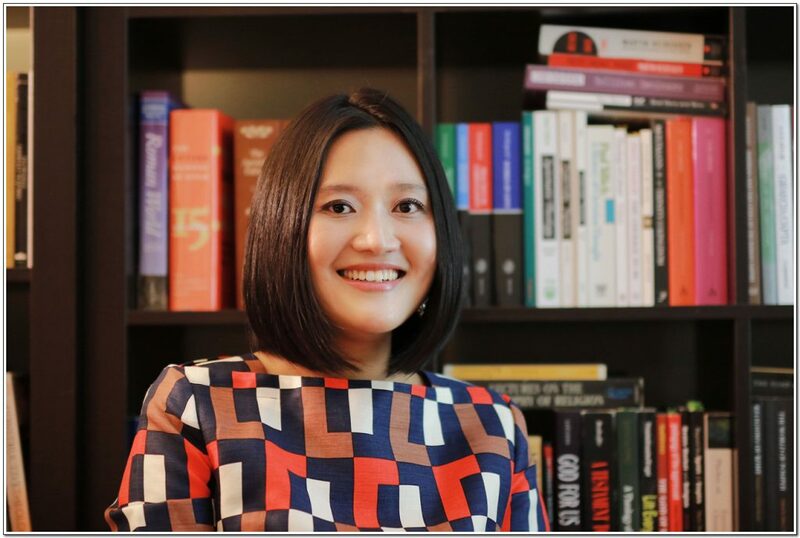 Jee Hei’s research interests are in New Testament and early Christian writings with an emphasis on the construction of Christian identities. As an instructor, she taught undergraduate students introductory courses on the New Testament, theology, and world religions. From this rewarding experience of teaching and mentoring, Jee Hei believes that theological education can bear fruit by guiding students to examine faith and create meaning in multifarious contexts. She resides in New Jersey with her husband, Earl, and their canine companion, Eco. Park will join Alison Gruseke and Kevin Moroney this fall to instruct courses on Holy Scripture in the Michaelmas term. Gruseke, an Old Testament scholar, is completing her dissertation at Yale on Moses the Mesopotamian: Sargon, Moses and the Counter-Inscription of Israelite Identity. Moroney, the H. Boone Porter Chair of Liturgics and Director of the Chapel, will teach Elementary New Testament Greek. Moroney received his Master in Divinity from the General Theological Seminary in 1992 and his Doctor in Philosophy in Liturgy from Milltown Institute of Theology and Philosophy, Dublin, Ireland, in 2008. His doctoral dissertation was an assessment of the full revision of the Irish Prayer Book happening at that time. In addition to teaching courses at the Lutheran Theological Seminary in Philadelphia and Nashotah House, Moroney served as long-time Rector of Christ Church Ithan in Villanova, Pennsylvania. The seminary will begin an international search for a full-time residential Biblical scholar this fall.